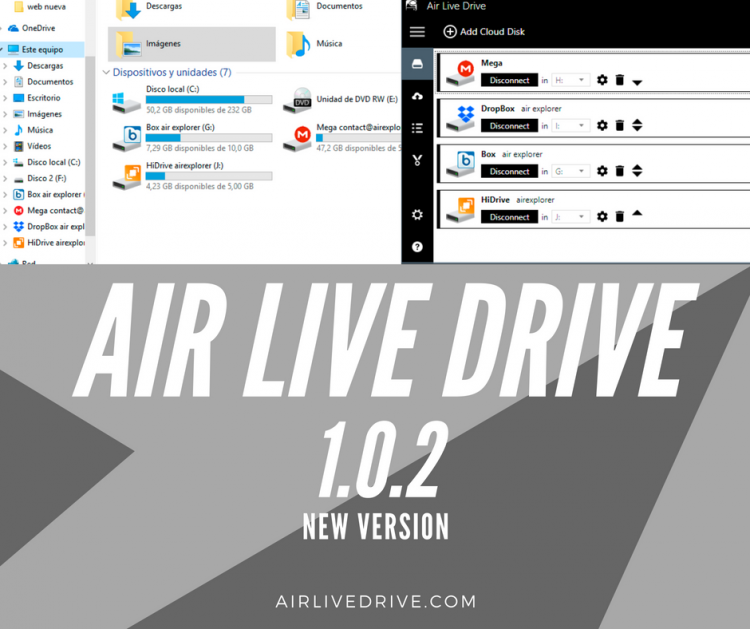 Air Live Drive - blog about news, versions, faq and tricks. 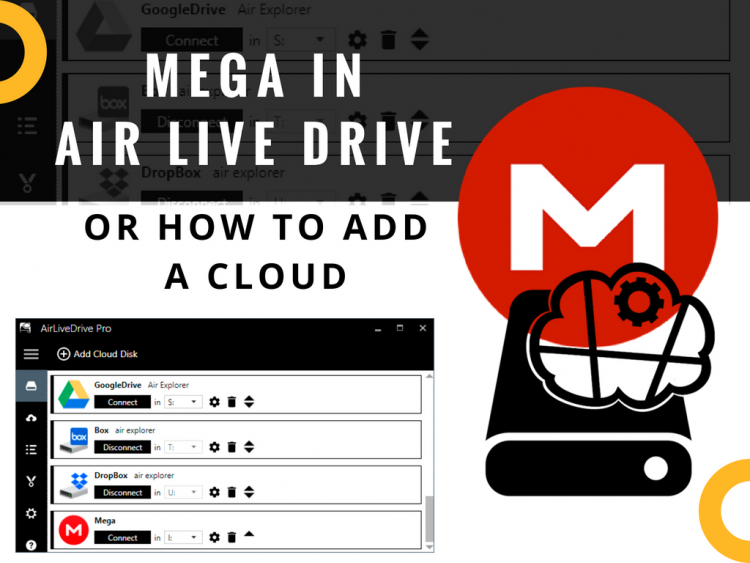 List of changes: -Fixed Mega. -Fixed error clearing cache of disconnected disks. -Improved stability. -Added Italian translation (thanks to Davide). 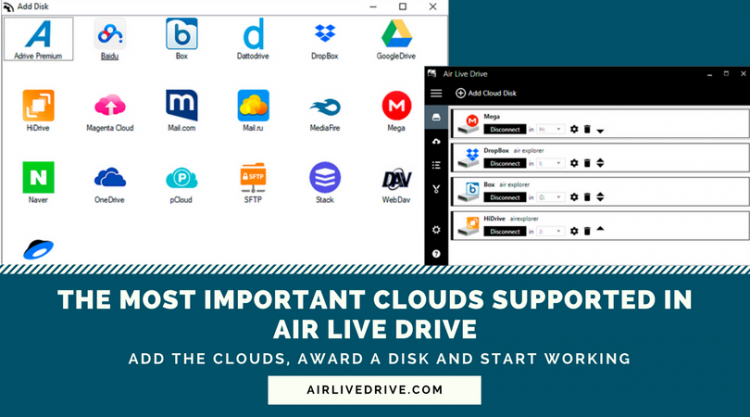 What cloud servers does Air Live Drive support? 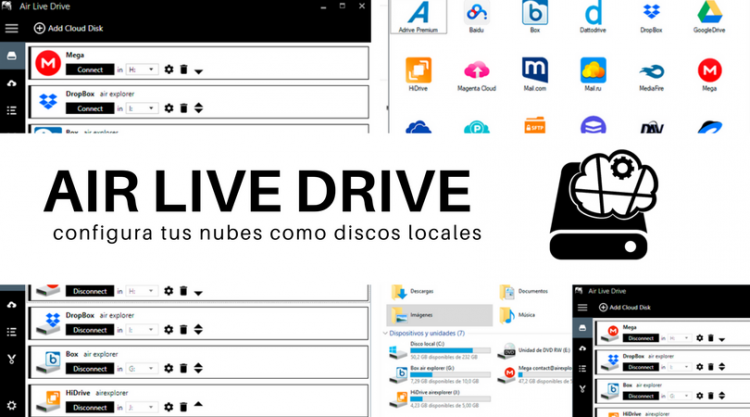 Air Live Drive works OneDrive, OneDrive for Business, Google Drive, Box, Mega, Dropbox, Yandex, Naver, Hidrive, Mail.com, Mail.ru, Adrive, Magenta, Stack Storage and Datto Drive. 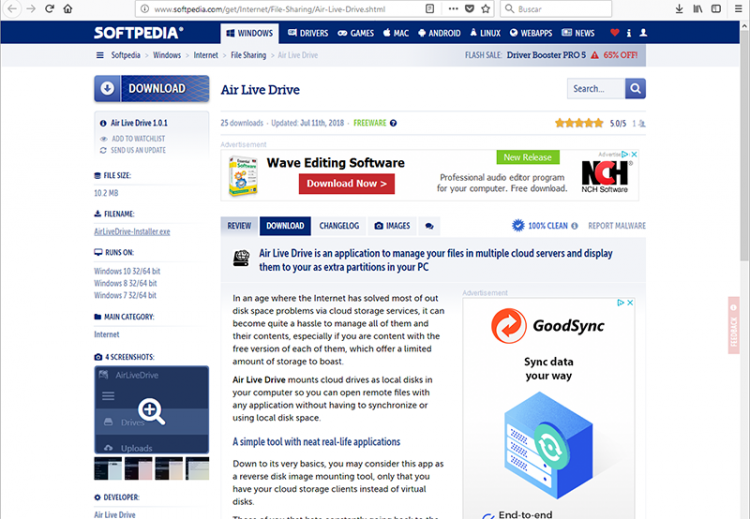 But it also works with WebDav and SFTP.